DeBelle Skin Moisturizer is an anti-oxidant rich cream enriched with Cocoa extract, for brighter, supple and younger looking skin. It can be used as a day/ Night cream. DeBelle moisturizer provides UV protection and helps to hydrate skin to an optimum extent, thus helping to impart glow and fresh feel. This cream is Paraben free and can be used on face and body. 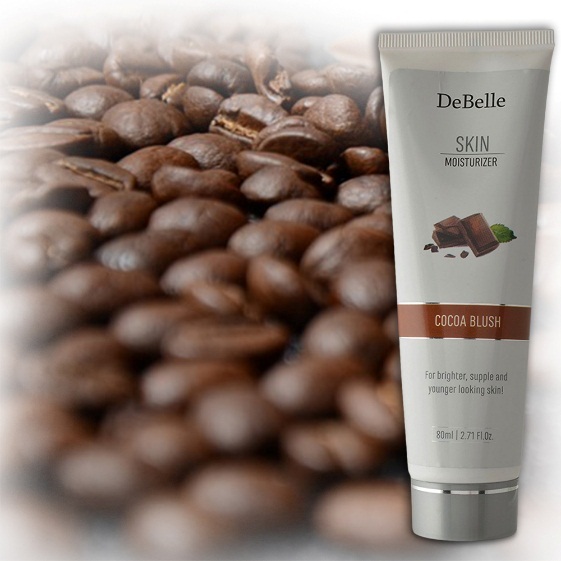 DeBelle Skin Moisturizer is an anti-oxidant rich cream which is enriched with cocoa extract, which makes the skin look bright, supple and young. The moisturizer protects the skin from the harmful rays of the sun, helps to hydrate the skin and imparts a glow. The cream is paraben free and can be used on both face and body! Nourish your skin with the goodness of cocoa extract! The moisturizer is enriched with rich anti-oxidant cocoa extract which gives the skin a younger look. This moisturizer from DeBelle nourishes the skin and helps in imparting a glow by brightening up the skin. 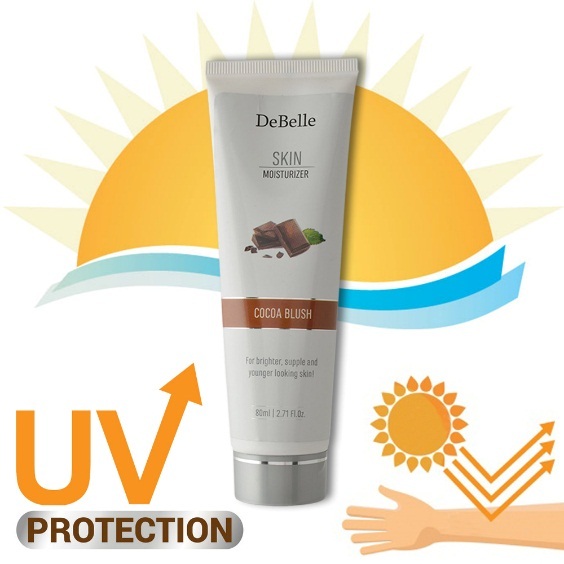 The DeBelle Skin Moisturizer prevents the harmful UV rays of the sun from penetrating the skin thereby protecting it. 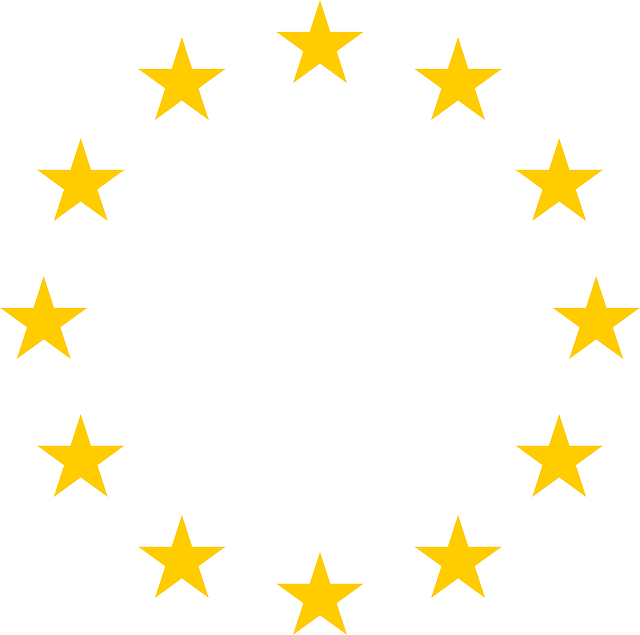 Parabens are esters which are used to extend the shelf life of their products which are harmful for the human body. This moisturizer from DeBelle is completely paraben free. 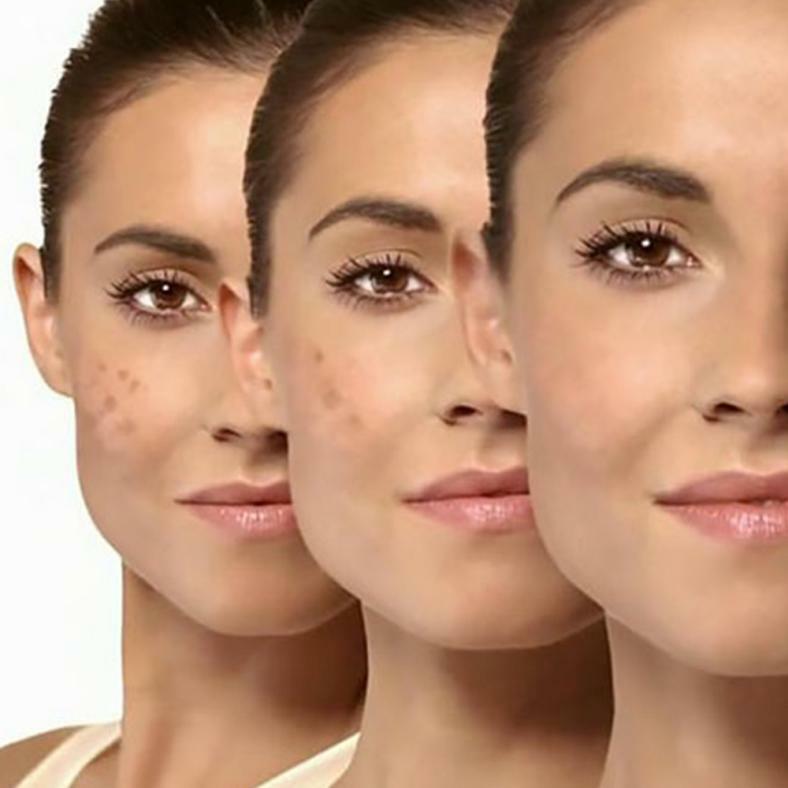 Dark spots tend to dampen the beauty of your face while you are getting ready for a party or a casual dinner. Enriched with premium quality ingredients this moisturizer from DeBelle helps in hiding the dark spots and makes you ready within minutes. 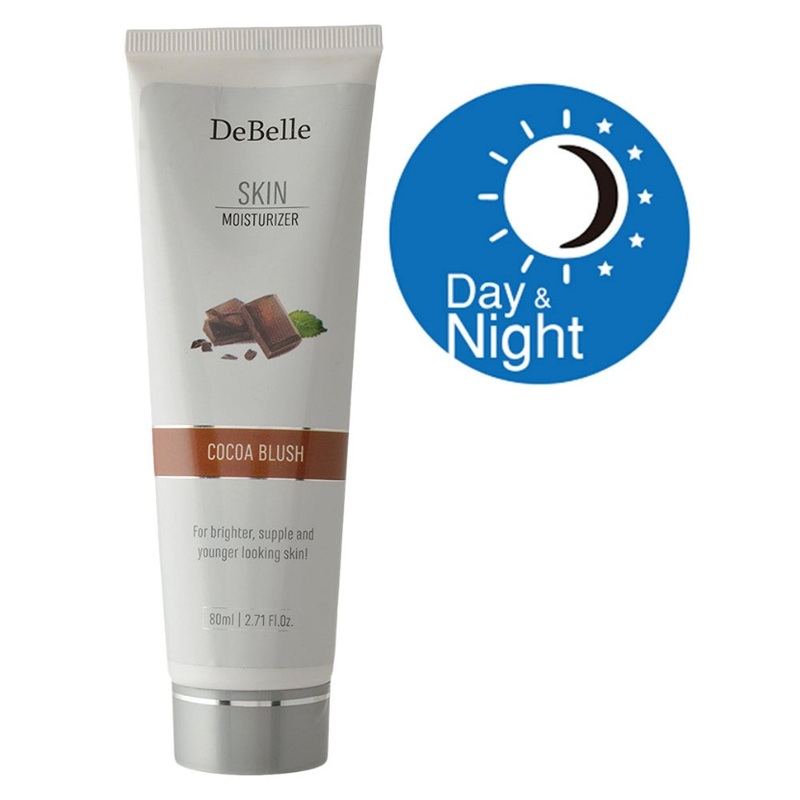 This moisturising cream from DeBelle can be used as both a day cream and a night cream. It will smoothen your fine lines and wrinkles and provide you with a fresh glow that is worthy of stardom. 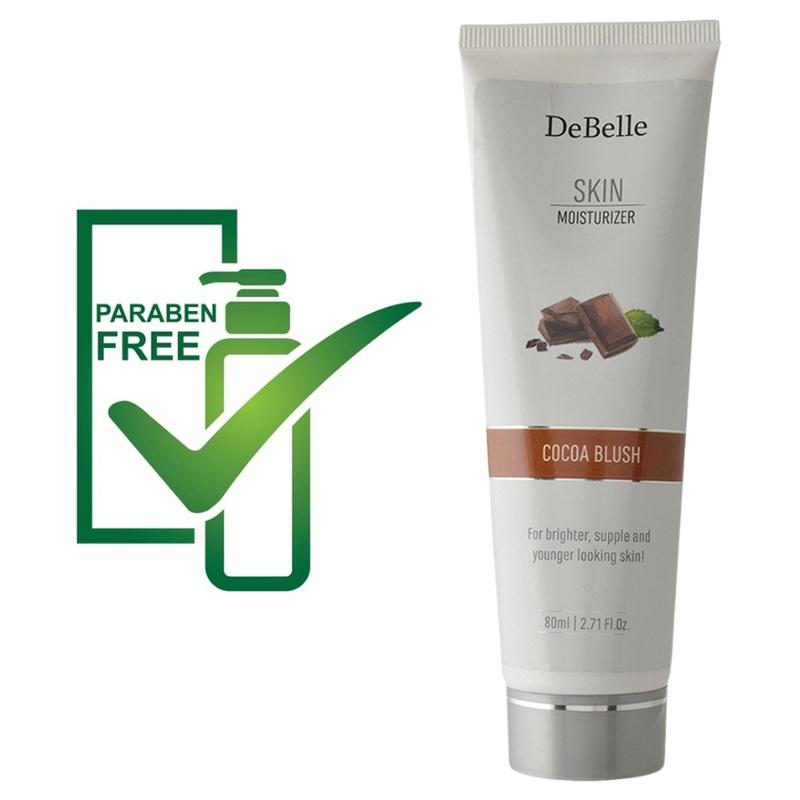 Bring your best face forward to any party with this cocoa extract enriched moisturiser from DeBelle. I am a cocoa lover, so anything with it is a must try for me. I received the Debelle cocoa moisturiser from Amazon before than the delivery date. This product smells exactly like cocoa. It gives moisture and smooth finish to our skin. The presence of cocoa tones the skin very well. You must try this and I am sure it will be your favourite all year around.